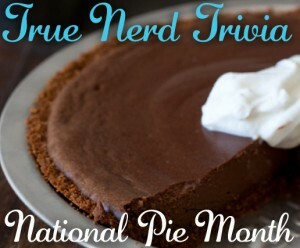 True Nerd Trivia: National Pie Month! 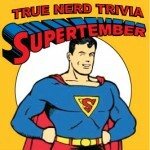 The next TRUE NERD TRIVIA is upon us! And how appropriate February is also National Pie Month! Join us for a night of nerdy trivia and fun prizes! The Island of Misfit Toys emerged victorious in December…who will be our next champions? 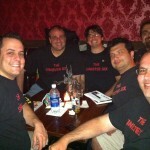 True Nerd Trivia – Best Event Ever! Previous post: Gygax Magazine Party!